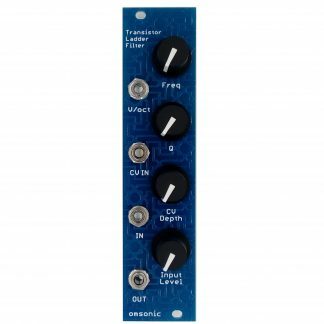 Analog Hi-Hat Eurorack Drum Module - The omsonic Pixel Dust ! 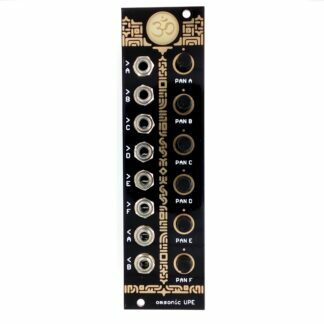 An Analog Hi-hat Eurorack Module inspired by the Hi-hats section of the famous Roland TR-606 Drum machine. 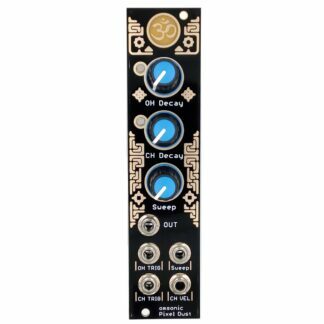 omsonic Pixel Dust an Analog Hi-Hat Eurorack Drum Module. 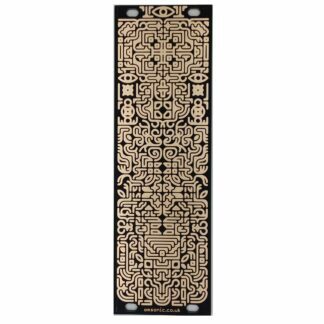 Inspired by the Hi-hats section of the famous Roland TR-606 Drum machine. 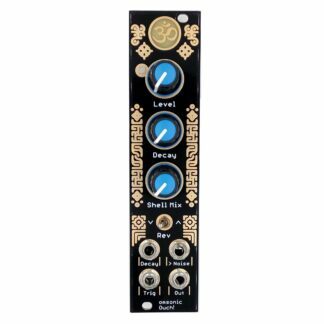 The sweep knob lets you adjust the graininess as well as the filtering of the over all sound. Sweep can also be controlled via the 0 to 5V CV input. Control over the velocity of the closed hat can be achieved via the 0 to 5V (CH Vel) input. 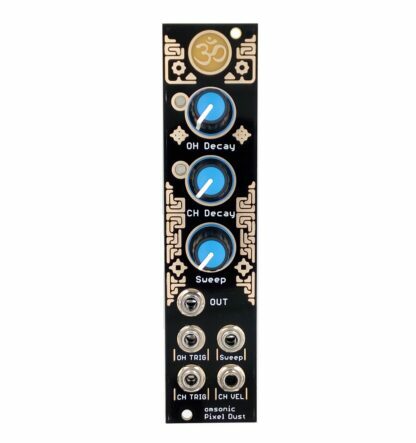 Lots of harsh Hi-hat goodness in one small 6HP module. Trigger indicator LEDs for both the open and closed hats. Controls for the decay time of the open and closed hats. Built in the UK with quality parts. Direct link for iPad users! 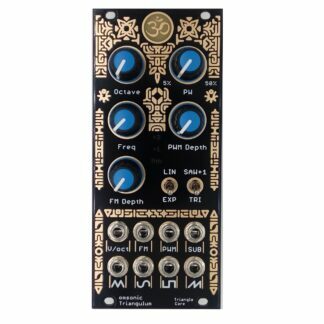 The omsonic Pixel Dust is on Modular grid ! I do ship abroad but expect to pay a bit extra for postage !